* NFL Injury note – On Nov 5, 2013 it was announced that Green Bay Packers QB Aaron Rodgers is expected to miss at least three weeks due to slight collarbone fracture suffered in 1st qtr of 27-20 loss to Chicago Bears on Nov 4. 1) Courtesy of Russell Wilson, Andrew Luck, and RG III, the next ten years of NFL football are gonna be quite memorable. 2) As evidenced by the Indianapolis Colts and Seattle Seahawks, teams which came back to win after having been down by 18 and 21 points respectively, winning is as much about attitude as it is about talent. 3) Nick Foles is the future of NFL football in Philadelphia. Do I smell playoffs ? 4) With Case Keenum at the helm, the Houston Texans will be competitive very soon, and into the future, but playoff dream is over for this season. 5) Kansas City Chiefs are the most fragile 9-0 team I have ever seen. 6) The real problem in Baltimore is not about effort or chemistry. It is that Ray Rice simply is not the dynamic force he once was. You heard it here first. 7) It has come to light that NFL coaches average 100 hour work weeks during the season, and then about 80 hours a week up until Draft day. Get well soon, Gary Kubiak and John Fox. 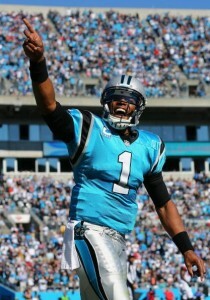 8) The 5-3 Carolina Panthers have the third best point differential (+98) in the NFL. 9) In the case of Trent Richardson, I have never before seen a player get traded to a team, underachieve with that team, and still somehow energize that same team. 10) I believe wholeheartedly in Geno Smith as a QB, and in the New York Jets as a team . . . I think. This entry was posted in NFL, Uncategorized and tagged dallas cowboys, geno smith, google, indianapolis colts, jonathan martin, miami dolphins, new york jets, pittsburgh steelers, seattle seahawks. Bookmark the permalink.